A source that claims to be very close to Big Sean sent us over an unofficial tracklisting of Big Sean’s upcoming album, Finally Famous. We’re not sure on how concrete this tracklist is, but this should give you guys a good look of what his album will be like! Enjoy & discuss! After performing at Austin City Limits (ACL) in Austin, TX, Big Sean went to Complete Clothing to chop it up with his fans, sign autographs, and take pictures. He gave this speech at the beginning to let his fans know what’s been going on with him lately and how he appreciates them. In the second video, he reveals his intentions for a third mixtape and talks about working with Pharrell on a couple of tracks for his album! Big Sean Wants You To Come See Him In Austin! Big Sean showin’ some love! And yes, those dates in the video have passed, but no worries, we just updated the Shows tab (up top) with 10+ new dates/cities. 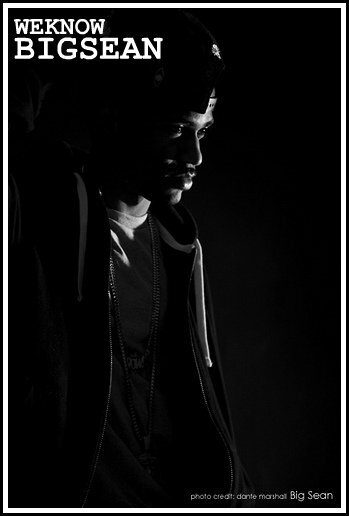 So be sure to check that out and see if Big Sean is performing near you. Also, some exciting WKBS news coming very soon, stay tuned yall! Check out this footage from Big Sean’s performance with Fly Union at Zodiac in Toledo, OH. His set included “Smoke ‘N’ Drive,” “Iraq,” “Getcha’ Some,” and his collaborative effort with Fly U, “Poed Up.” The second video is a behind the scenes look at the Finally Famous crew chillin’ (and clownin’) after the show. Big Sean also briefly talks about his accident in Hawaii, where he badly injured his feet. On behalf of WEKNOWBIGSEAN, we would like to wish him a speedy recovery! 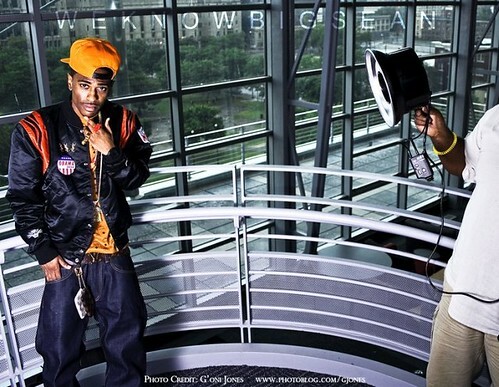 Check out this sick behind the scenes shot taken recently at Big Sean’s album/promotional shoot. Could this be for the next mixtape? Or possibly album related.. only time will tell. One thing is for sure though, that Bengals varsity jacket is MEAN! Word is that fashion risk-taker Taz Arnold (Sa-Ra) had a hand in the styling. Stay tuned, more pictures later this week. Big Sean Shouts Out WEKNOWBIGSEAN! For the impatient, fast forward to 1:21 and peep Big Sean and the Finally Famous crew checking out the site! Big ups to Zeno for holdin’ it down for us. Others featured in the video include Earlly Macmillion & Say It Ain’t Tone (new exclusive joint entitled “Japeto” produced by Olympiks available HERE), Keely (“Love Story”), and Tommey Walker (graphic artist extraordinaire). Thanks for the love yall!